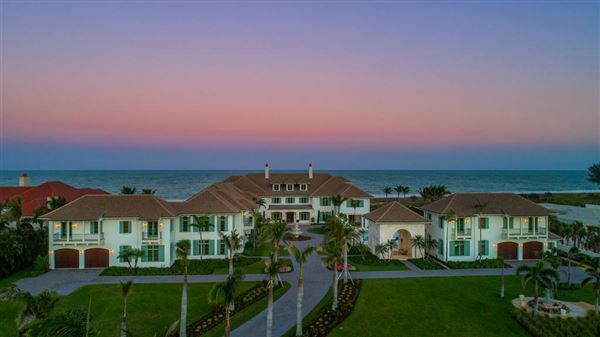 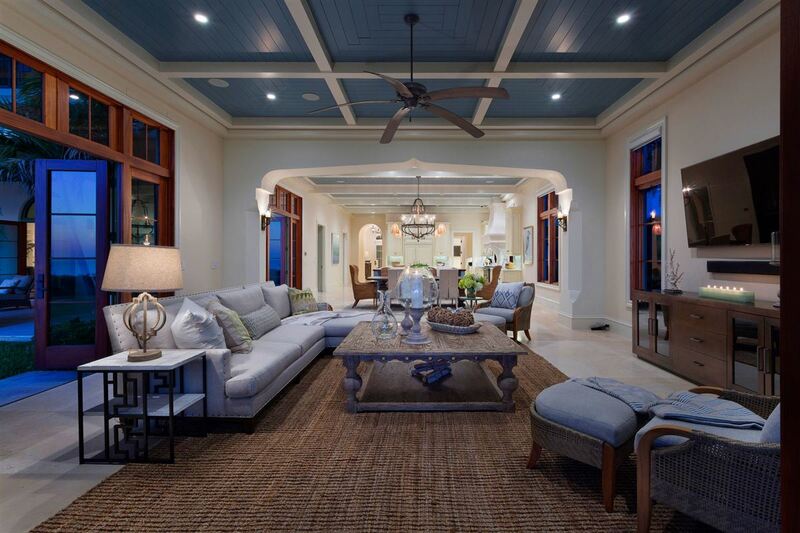 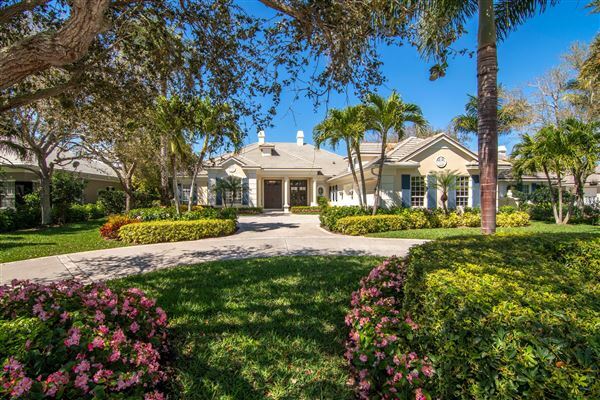 Hailed as one of Florida’s great estates, this important new oceanfront residence in Vero Beach, Florida is now completed and being offered perfectly turn-key and available for immediate sale and use. 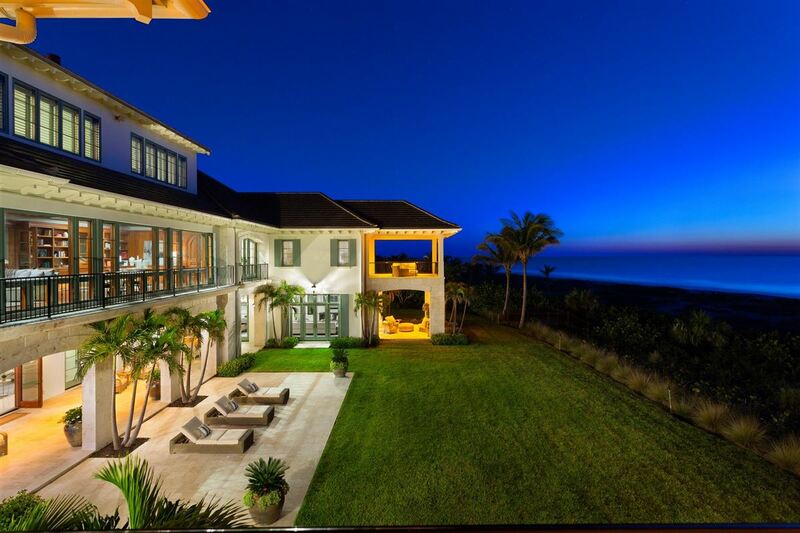 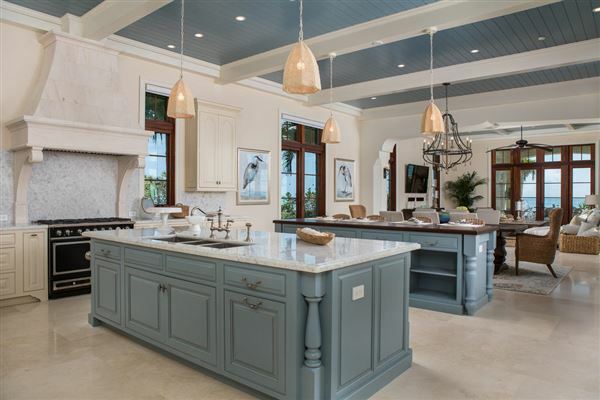 Completed in 2018, including stunning furnishings and interiors, this unparalleled property features nearly seven acres of direct oceanfront land in the acclaimed “Estate Section” of Vero Beach, Florida. 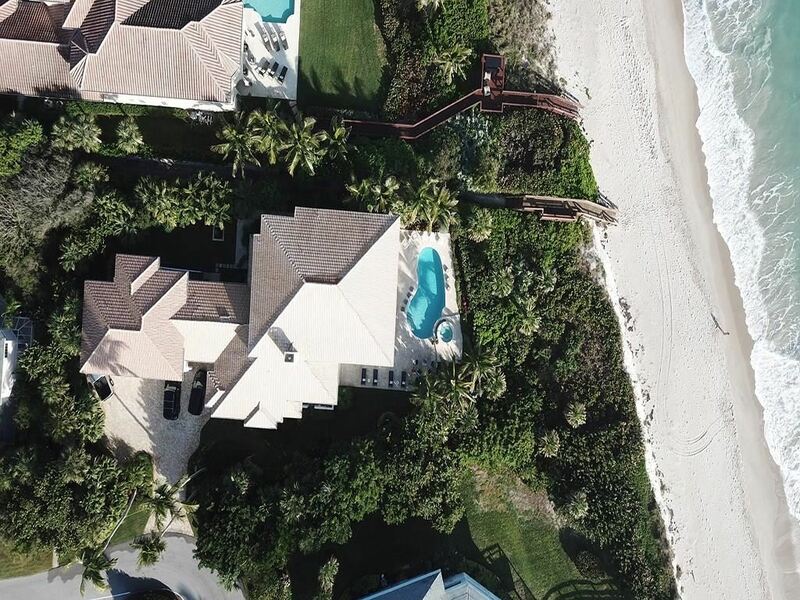 This new estate is one of Florida’s very largest oceanfront properties by land and is nearly unprecedented in South Florida. The gated compound pays homage to the famed villas of the French Mediterranean coast with authentic touches of the Côte Sud. 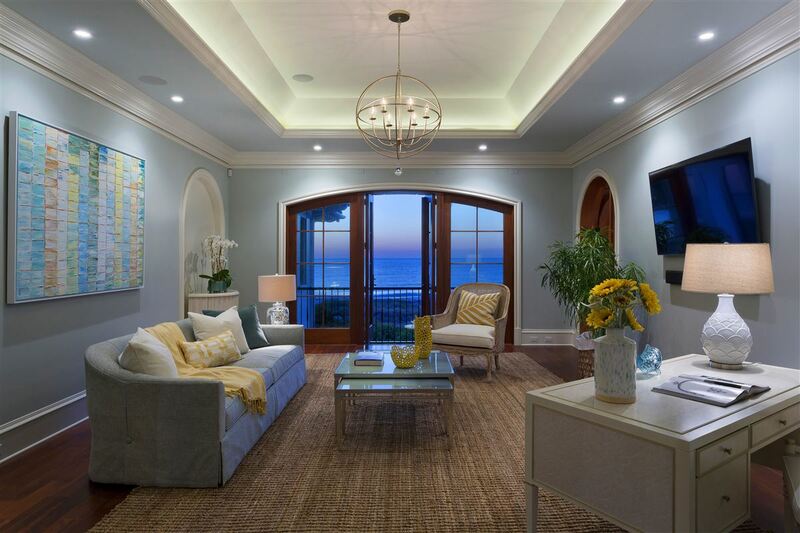 Encompassing the highest quality construction methods and materials along with true state-of-the-art mechanical systems, the residence has been impeccably designed and constructed. With the great house as its centerpiece, the property also boasts a pool house, guest house and carriage house all with significant outdoor living areas and garages for ten cars. 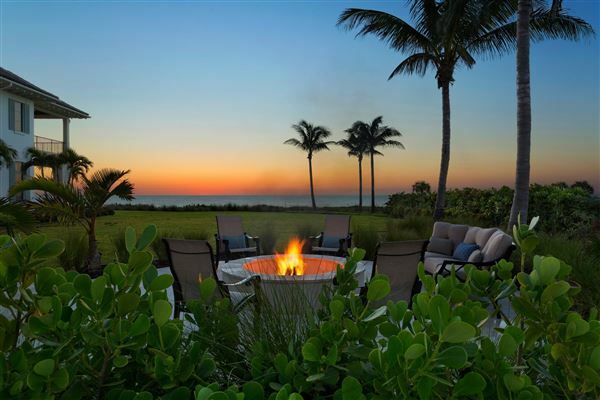 Welcoming entertaining areas and intimate family retreats blend seamlessly with stunning outdoor rooms. 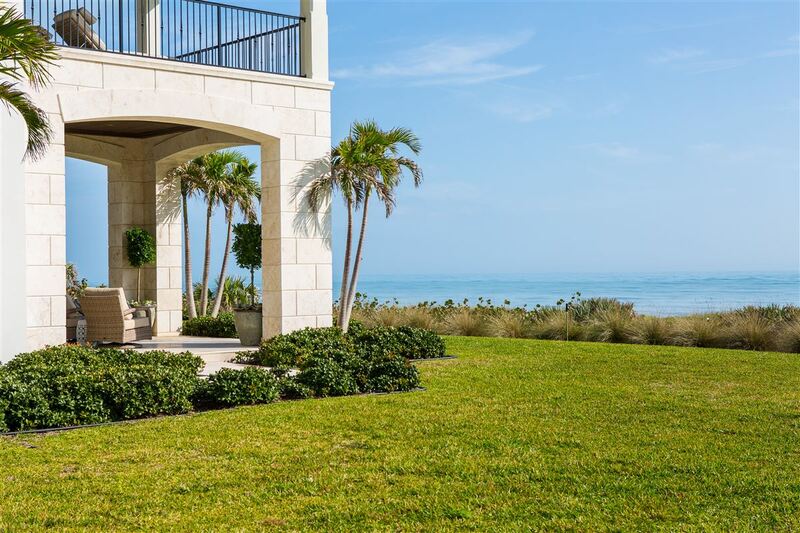 Gorgeous view-filled loggias and terraces give way to sweeping lawns with luxuriant gardens, fountains, mature oaks, and specimen palms. 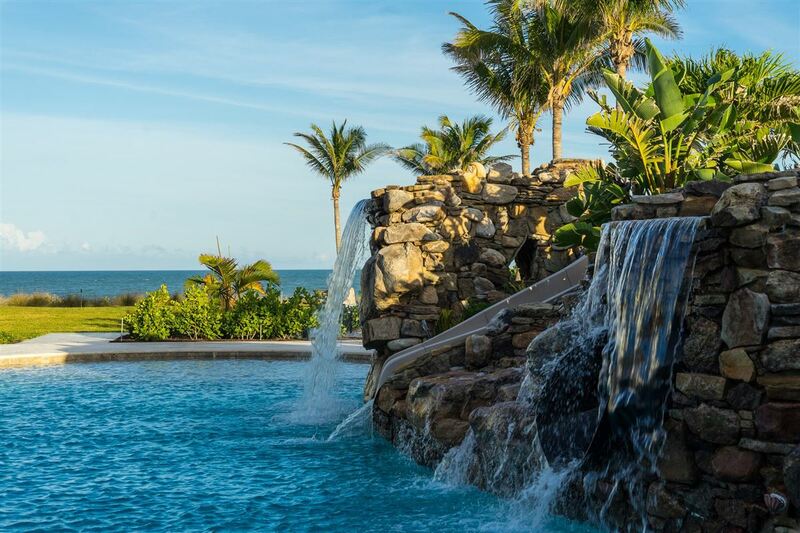 The oceanfront resort pool is spectacular with the most up-to-date features and amenities. 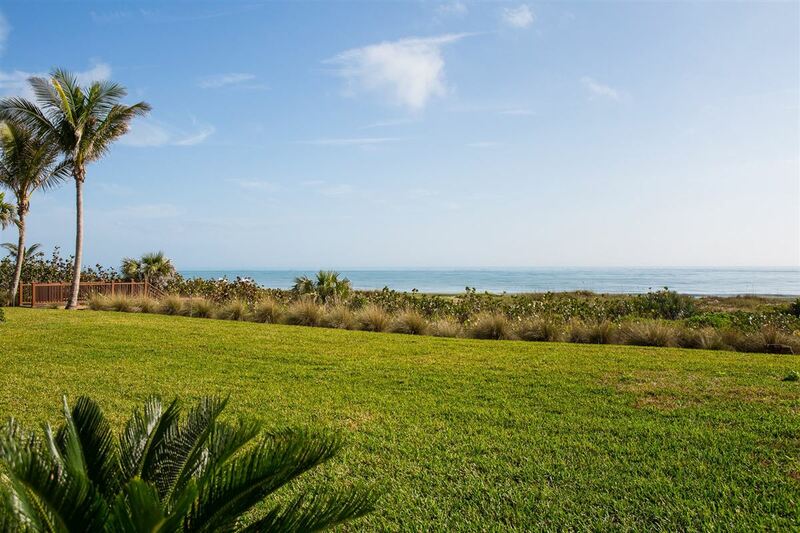 With 315+/- feet on the Atlantic Ocean, the serene grounds also highlight a wide dune-fringed sandy beach, dune walk, walking gardens and cart paths throughout. 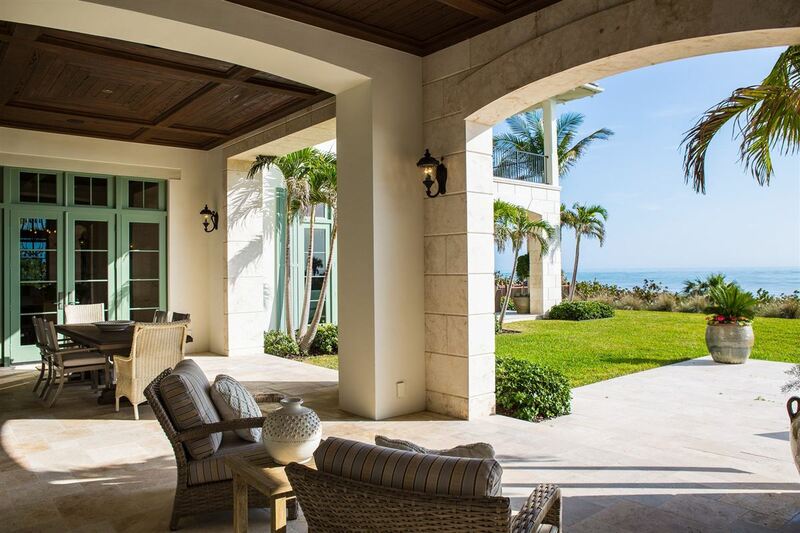 This enviable oceanfront villa features handmade mahogany windows and doors with hurricane-impact glass and boasts solid concrete and steel construction clad in solid coral and hand-trowelled stucco. 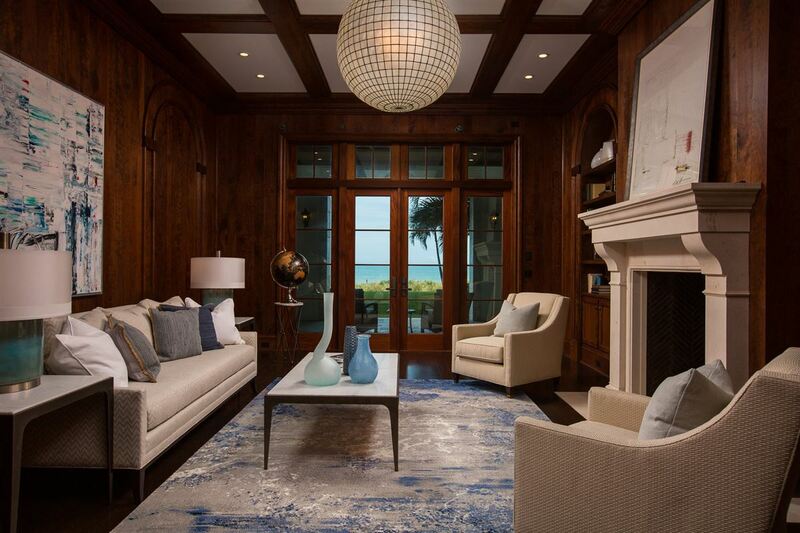 Great care was taken to choose only authentic materials, hardwoods and stones. 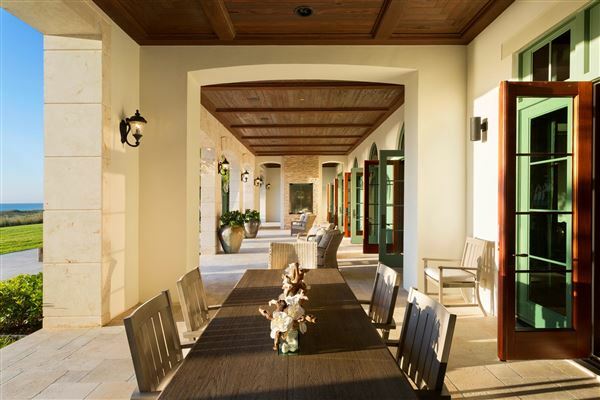 Highly energy and water efficient, including geo-thermal systems, the estate was critically designed for a minimum of maintenance needs and operational costs and is a true generational home that will become a lasting legacy for one very fortunate family. 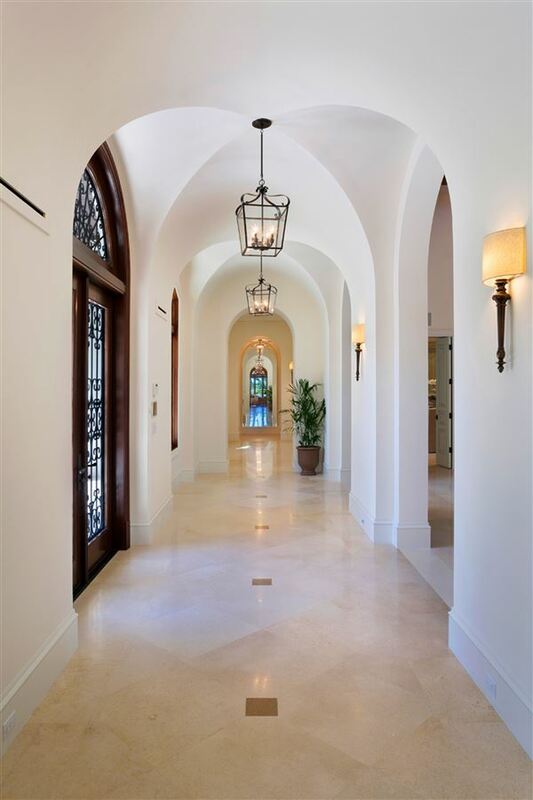 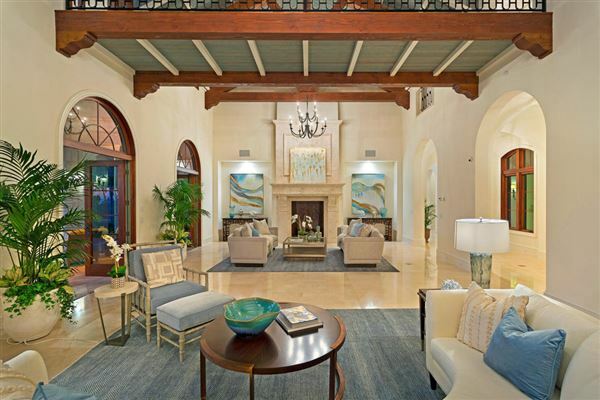 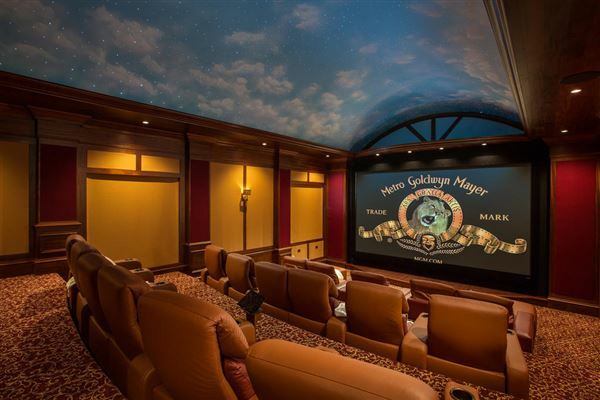 As you enter the great house, a groin-vaulted gallery introduces the dramatic salon with French limestone floors and fireplace, antique cypress-beamed cathedral ceiling, and French doors to the outdoor living loggia. 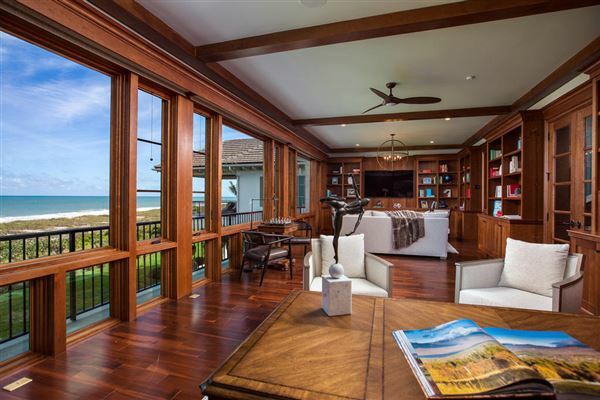 Oceanfront loggias also open from the cypress-paneled library and the formal dining room embellished in French boiserie, both with French limestone fireplaces. 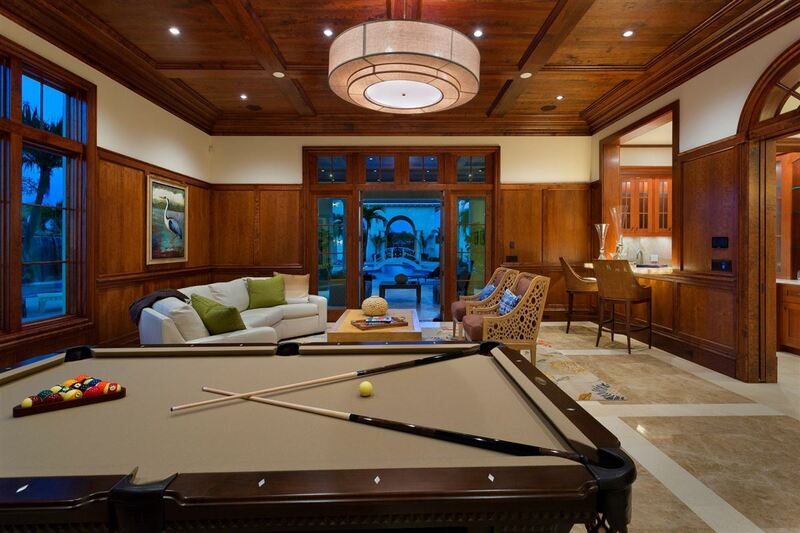 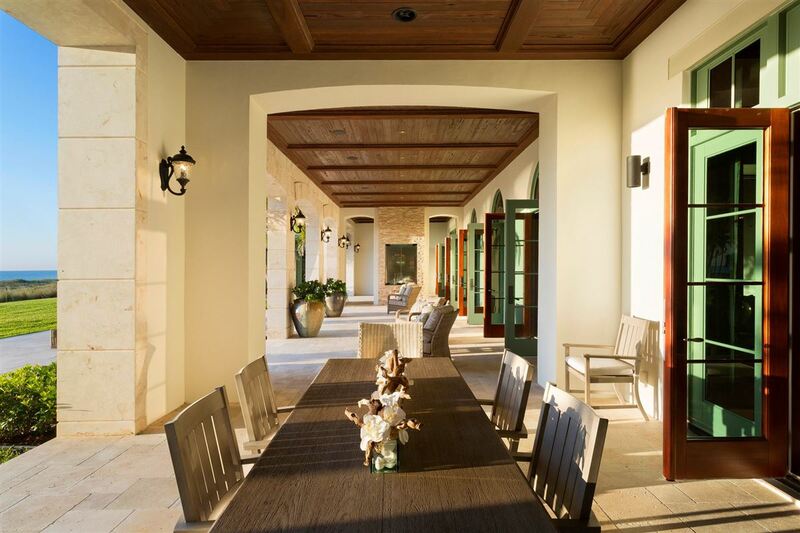 Rich Florida cypress paneling encases the club room and bar leading to the pool loggia and dramatic coral pavilion. The epicurean’s kitchen and butler’s pantry features custom hand-made cabinetry, Calcutta gold marble counters, a mahogany-topped island, and the finest appliances. 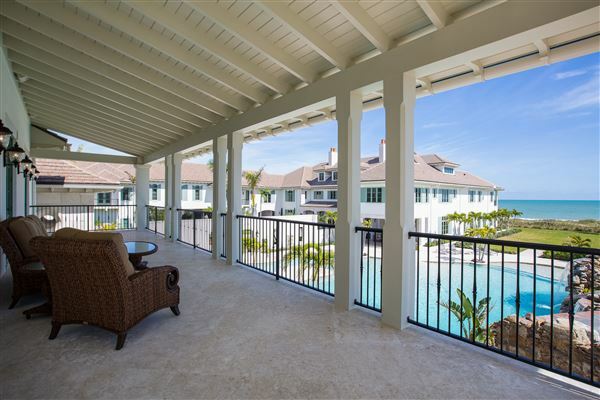 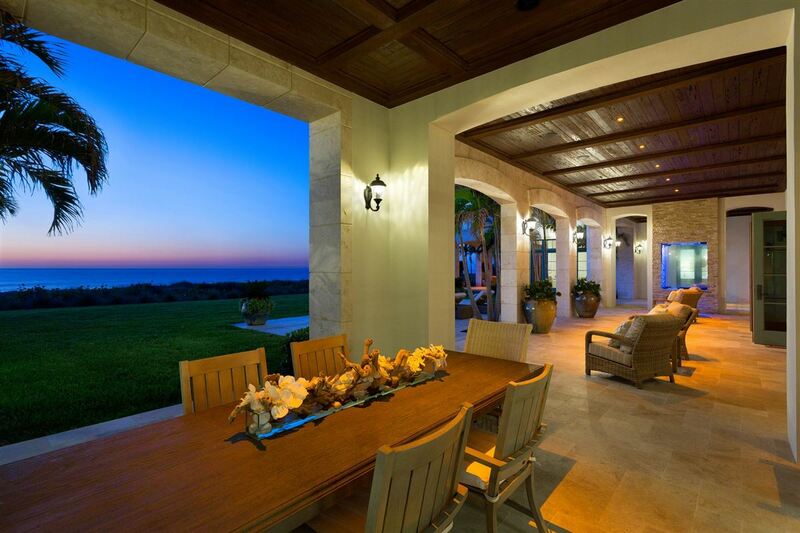 Ocean views sweep through family living and dining areas leading to outdoor loggia with fully equipped summer kitchen. 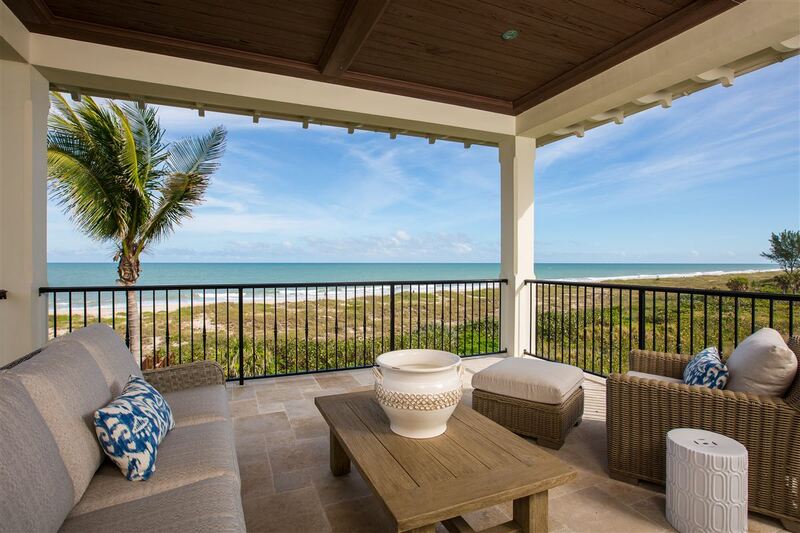 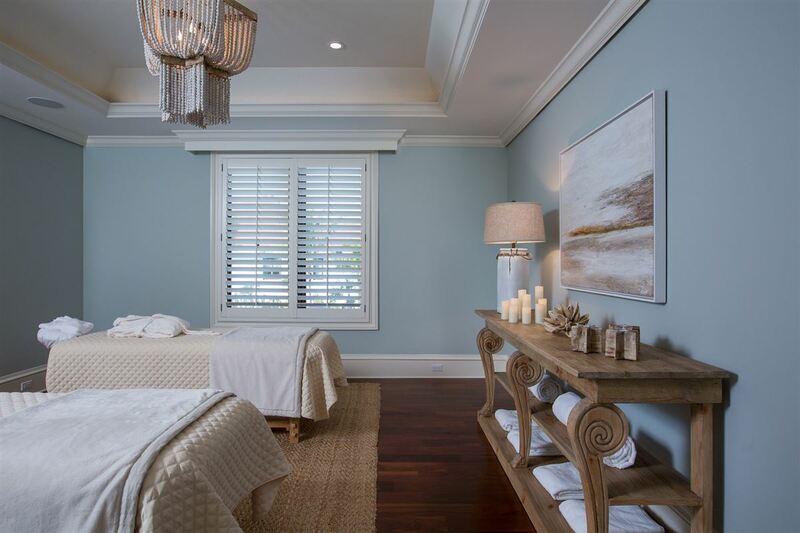 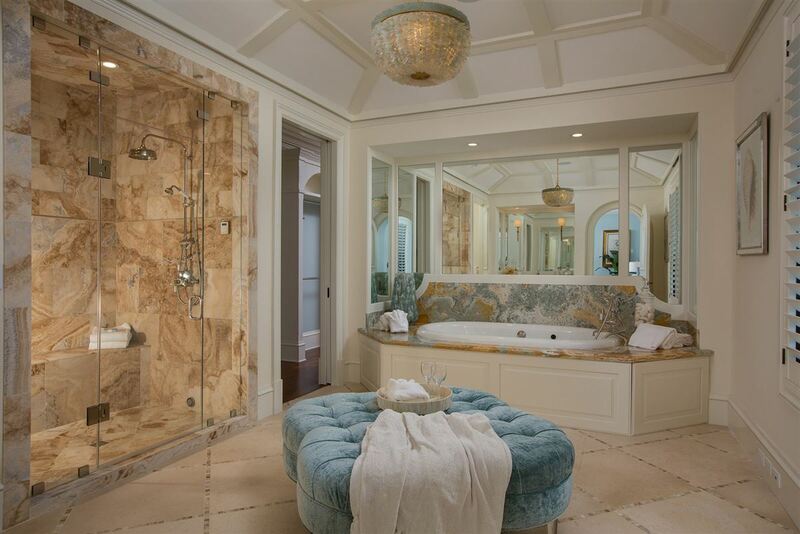 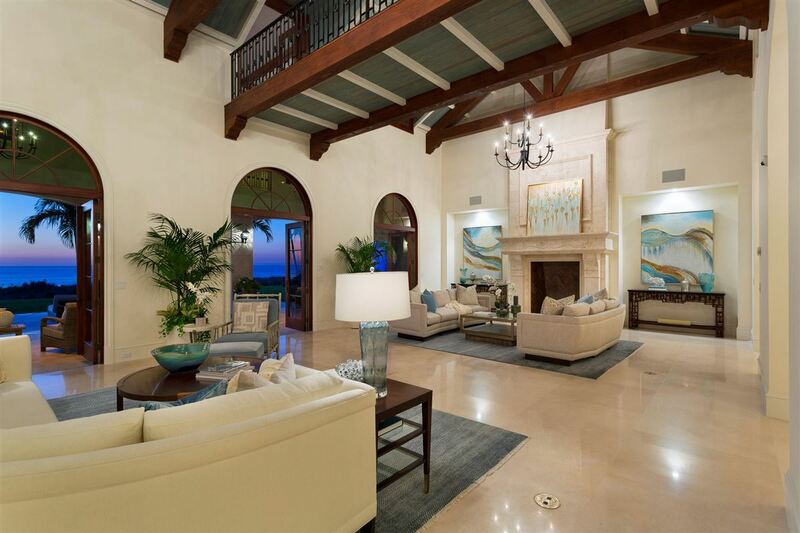 Completing the first level, a luxurious guest suite enjoys its own ocean-side loggia. On the second floor, the master suite is a private sanctuary offering a sitting room, massage room, walk-in wardrobes, and sumptuous his-and-her bathrooms. A paneled oceanfront office and luxurious guest suites complete the level. Thoughtfully set apart from the suites is an exercise facility and a state-of-the-art movie theater unlike any ever constructed in the area. 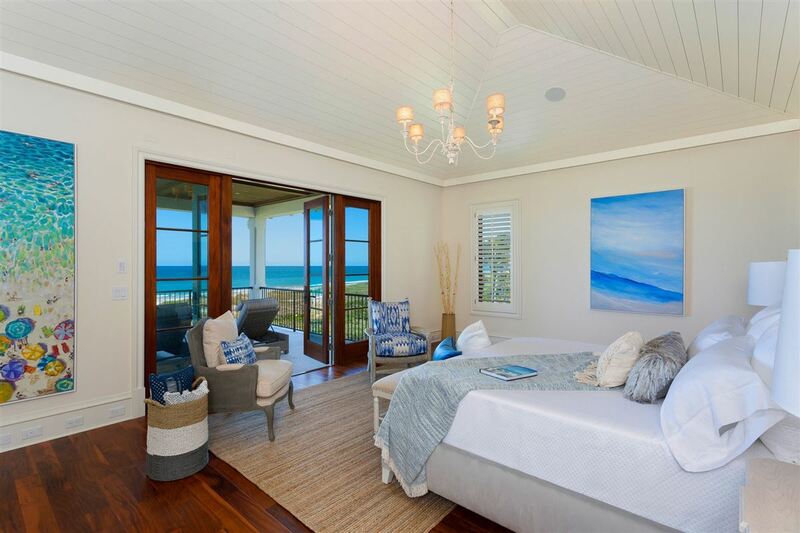 The upper garret level offers amazing ocean vistas for artist studio space or children’s play areas with the option of additional ensuite bedrooms. The pool and guest houses are also direct oceanfront and open to loggias or the resort-style pool. 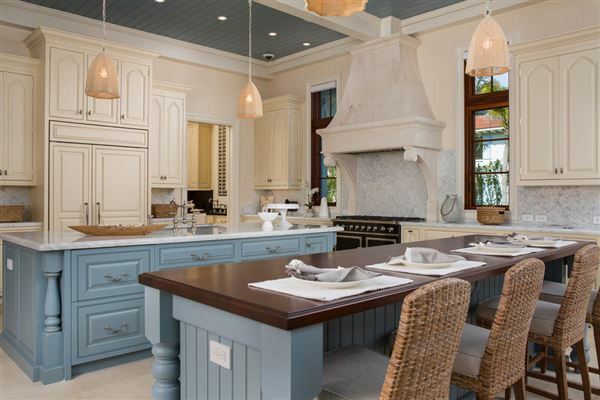 These two charming cottages each contain a living room, kitchen, two bedrooms, two half bathrooms and private garages. 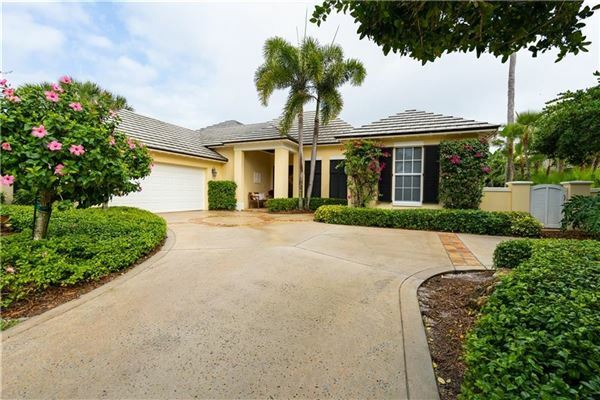 The carriage house features two bedrooms, full kitchen, two half bathrooms and a private two-Bay oversized garage for RV’s or other toys. 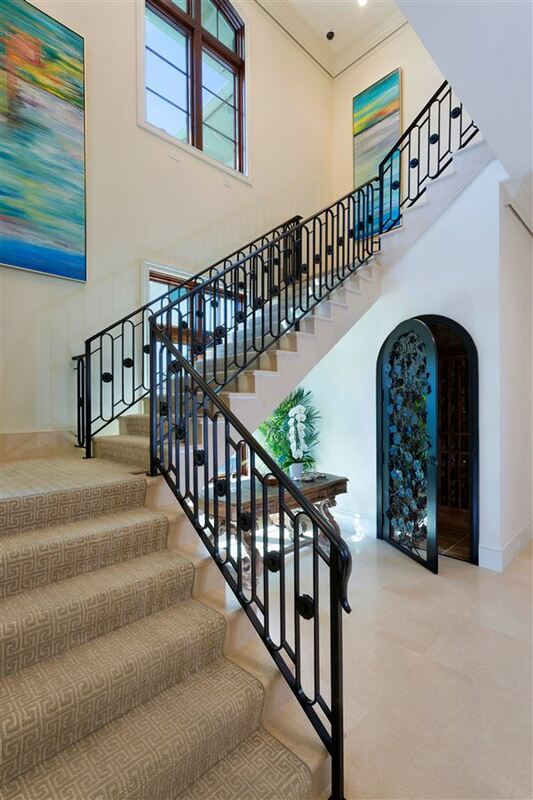 Throughout the estate, all levels are accessed via multiple staircases and four commercial-grade wood-paneled elevators. 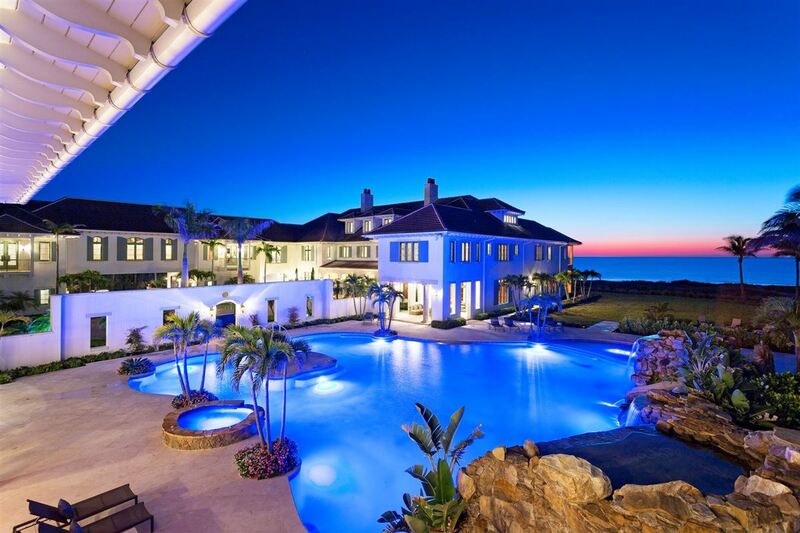 Few people allow themselves to experience living on such a fine scale. 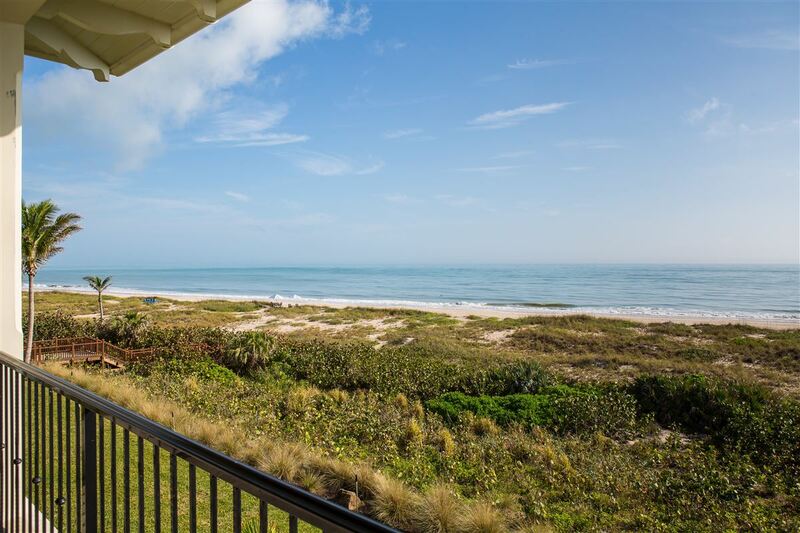 1940 South A1A offers you and your family the very best in Florida oceanfront living.